When Anna Wall realized she was in labor with her son Luke, the 29-year-old first-time mom in Austin, Texas focused her breathing until she had hypnotized herself into a state of deep relaxation. Her eyes closed, she remained in deep hypnosis until delivering her baby 10 hours later. “I could hear everything and respond when I needed to, but I was so relaxed that I remember falling asleep between contractions,” she tells WebMD. Wall says even the last 45 minutes of vaginally delivering her 9 1/2-pound baby involved no screaming or pushing. “I kept breathing deeply and just felt my body move the baby down. And then he literally slid out,” she recalls. She credits her calm, unmedicated childbirth to hypnobirthing, the increasingly popular mind-body technique among parents seeking a natural birthing experience with more patient control and less pain than existing methods. Despite the variety of programs, the philosophy remains the same: nature intended for women to give birth relatively easily, but the fear of childbirth incites physical pain. “We have convinced ourselves that labor is risky,” says Marie Mongan, MEd, MHy, founder of HypnoBirthing – The Mongan Method. 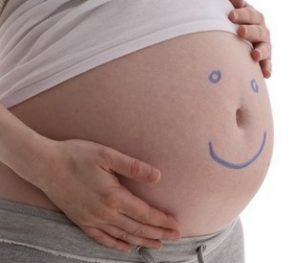 Fear during labor activates our primal fight-or-flight mechanism, causing stress hormones called catecholamines to slow down digestion, make the heart speed up, force blood to the arms and legs, and ultimately deplete blood flow to the uterus, creating uterine pain and hindering the labor process. According to Mongan, who is a hypnotherapist and hypnoanesthesiologist, it is physically impossible for the body to be relaxed and in fight-or-flight mode. By replacing fear with relaxation, a different set of chemicals come into play: oxytocin, labor hormones called prostaglandins, and endorphins combine to relax the muscles and create a sense of comfort. “At my very first pregnancy appointment, I said ‘I want to do this without drugs,'” Wall recalls. But when she brought up the popular Bradley method, which focuses heavily on the support of a childbirth partner to help cope with pain, her doctor suggested hypnobirthing as an easier alternative. Wall and her husband took Mongan’s HypnoBirthing course, consisting of five classes, 2 1/2 hours each. Courses cost between $275 to $350, depending on location and provider. With the help of a course book and hypnosis CDs, Wall and her husband learned breathing and visualization techniques. She was taught to envision an easy birth, with her cervix opening wide, allowing the baby to come out effortlessly. Every day, they practiced affirmations like, “I relax and my baby relaxes,” and “My baby is the perfect size for my body.” Her husband later repeated those key phrases to her as he coached her during labor. Wall says daily practice helped her eliminate distractions and reach a state of deep relaxation earlier each time. 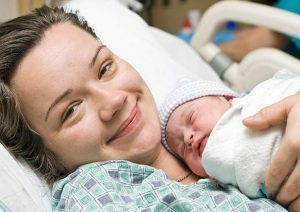 She also learned to reject references to difficulty during childbirth, replacing the words “contraction” and “pain,” with terms such as “surge” and “sensation” instead. Other hypnobirthing courses teach similar techniques with some variations. “Hypnobabies” trains mothers to self-hypnotize with their eyes completely open during the process, says Carol Thorpe, one of its hypnotherapist doulas. Thorpe says the course also provides comprehensive childbirth training beyond self-hypnosis. Still other hypnobirthing methods allow for parents to take a whole course in one day, or entirely at home. Diana Weihs, MD, Wall’s delivering ob-gyn, estimates about 5% of her patients have used hypnobirthing. “There’s something that’s gentler that is not there with the Bradley method,” she says. “It’s harder to watch Bradley patients, knowing that their pain management is not as effective,” says Weihs, a fellow of the American Congress of Obstetricians and Gynecologists. She attributes the growing popularity of hypnobirthing partly to the method’s openness to medical intervention when necessary, an attitude that she says is often lacking among Bradley patients. Nurse-midwife Megan Sapp, CNM, FNP, says her Maryland-based practice sees about 40% of patients using hypnobirthing, another 40% using the Bradley method, and the rest using other methods including Lamaze, meditative calm birthing, Birthing from Within, and more. Sapp tells WebMD that moms who use hypnobirthing tend to have shorter labors compared to other methods. A 2006 review of five existing studies showed that women who used hypnobirthing techniques were about half as likely to use painkiller drugs, and about one-third as likely to use an epidural. Regardless of the specific hypnobirthing program, there is always the possibility that things don’t go as planned during labor, says David Keefe, MD, professor and chairman of obstetrics and gynecology at New York University’s Langone Medical Center. “It’s very safe,” he says. “However, the key to a successful natural childbirth is having the attitude that you’re doing this for yourself, not to please anyone else, and if you can’t continue with it for whatever reason, there is nothing wrong with quitting,” says Keefe, who is a fellow of the American Congress of Obstetricians and Gynecologists. Keefe says that expectant moms using hypnobirthing should choose a doctor who fully supports the method, and he recommends the delivery take place in a hospital with rapid access to emergency C-section facilities and a neonatal care unit in case of complications.